Single dome light with full metal pan reflector to maximize light output while dissipating heat. 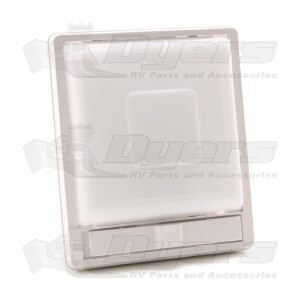 The PD751 Interior Light is specifically designed to meet the needs of the RV and Marine Industries for a low cost, yet attractive lighting product. Large slide switch for easy accessibility in the dark. Lens options (White, Optic and Prismatic) offer a wide variety of décor combinations. Lens easily removed without tools for bulb replacement. PD751 has 2 position slide switch. Full bulb sockets assure positive electrical contact.